A Liverpool supporter has told the incredible story of how a simple discussion about the Reds helped him out of an induced coma. Ian Walker, who is a long-distance handcyclist from New Zealand, was left in intensive care after an accident in his homeland last month, with doctors telling his family to prepare for the worst. Ian became a paraplegic a decade ago after an another accident with a truck and has since become a well-known handcyclist in his Christchurch homeland. The Liverpool supporter was left fighting for his life when a collision flipped him off his bike and left him with broken legs, ribs and fractured hips on January 9. However, a simple chat about his beloved Reds was enough for him to regain consciousness in a miraculous story he relayed to New Zealand’s Sport Radio host Jason Pine. “I wanted to say thank you very much because they were trying to get me to wake up in ICU,” he said. “They tried talking to me…and then they actually played a bit of Radio Sport on with you about Liverpool’s trials and tribulations a couple of weeks ago. Host Jason, who is also a reported Reds fans, was left virtually speechless by the remarkable recovery. “Wow! That’s amazing,” added the radio host. 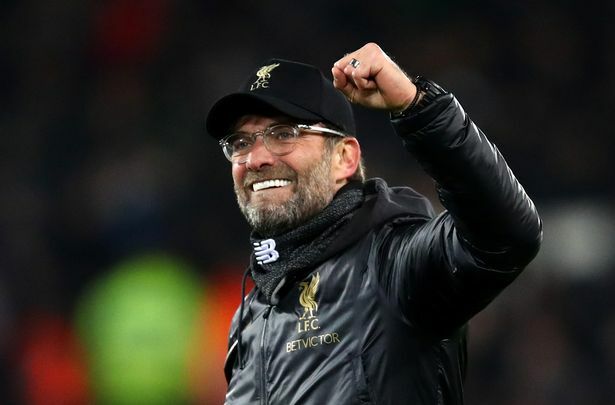 “I don’t know quite what to say, I feel extremely privileged to have played any part in your recovery and if there was a little trigger that went off as we talked about our beloved Liverpool, I’m pleased that there was some small part to play. Detailing the specifics of his accident back on January 9, Ian said: “I just went for a bike ride for around 40km, I can’t exactly remember what happened. “From what I’ve been told I came to a Give Way sign and carried on. “An SUV decided there was enough room on the road for both he and I to be on the same side. He hit me from behind, flipped me over, over the top of me and broke my legs, broke 95 per cent of my ribs, fractured two hips and I was in an induced coma for four weeks. “I’ve been talking on my own, breathing on my own for first time in six days. “I think I’ve lost a little strength of my left hand and my right hand. But that will come in time. “The rib fractures and everything will be healed within the next week. I’ve still got a cast on my left leg which is broken and my right leg is just really in a moonboot to cover the serious lacerations I have on my right foot.